The Watchtower Society teaches Jehovah’s Witnesses that blood transfusions are unbiblical. An inquiry made to the American Red Cross shows that one hundred people per thousand, or ten percent, need blood in some form every year. With the need for blood transfusions so great and with numerous cases of Jehovah’s Witnesses sacrificing their lives for this Watchtower teaching, we should indeed seriously search the Scriptures for God’s truth in this matter. The Watchtower uses three main Scripture references in support of its theory. Let’s examine each one. The first verse is Genesis 9:4. Here a command is given that refers to “the eating of blood”, certainly not receiving transfusions. Noah is commanded not to eat flesh that still had the blood in it; in other words, don’t eat living animals, or animals not properly drained of blood. Their second “proof text” is found at Leviticus 17:10-16. Again, we find reference to the actual eating of the blood of animals. These verses are no way connected with transfusions between humans. The final reference examined is Acts 15:20. Here it says to “abstain from things contaminated by idols and from fornication and from what is strangled and from blood.” We read in Acts 15:21, “For Moses, from ancient generations has in every city those who preach him, since he is read in the synagogues every Sabbath.” It now becomes clear that abstaining from these four items is referred back to the law of Moses in Leviticus 17. 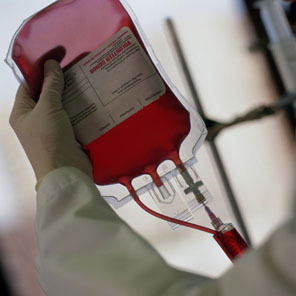 Therefore, we can see, beyond dispute, that the abstaining from blood does in no way refer to receiving blood transfusions as the Watchtower’s interpretation wishes it to. It is important to understand that eating and transfusing are two different bodily processes. Blood which is eaten is digested and destroyed. Blood which is transfused is not eaten, digested, or destroyed. Why? Because eating blood involves the body’s digestive system, and transfusion involves the circulatory system. A similar Watchtower teaching regarding the rejection of vaccinations, was classified as Biblical truth in the 1930’s. However, Jehovah’s Witnesses today are free to receive vaccinations and even encouraged to do so Will the doctrine on blood be changed also? The saddest fact is that because of its present teaching on blood transfusions, the Watchtower has led many to a pre-mature grave. Speaking to the children of Israel, the Lord said unto Moses: “I will raise them up a Prophet from among their brethren, like unto thee, and will put my words in his mouth and he shall speak unto them all that I shall command him. And it shall come to pass, that whoever will not hearken unto my words which he shall speak in my name, I will require it of him.” Deuteronomy 18:18- 19 The message of Moses is full of importance to Israel and he should apply it to his heart. God promised Moses that from among the children of Israel he would raise up a prophet like Moses. This prophet would speak God’s word to Israel. The rejection of this prophet by Israel, Moses stated, would bring very serious consequences. This is the key message to the Jews from the prophecies of Moses. Each Israelite will have to decide for himself whether the disaster which today has befallen Israel is not to a great extent due to his rejection of God’s Prophet. 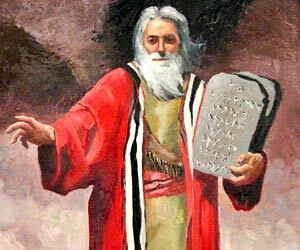 Moreover Moses further prophesied to Israel: “And ye shall be left few in number, whereas ye were as the stars of heaven for multitude, because thou wouldest not obey the voice of the Lord thy God. “And it shall come to pass, that as the Lord rejoiced over you to do you good, and to multiply you; So the Lord will rejoice over you to destroy you, and to bring you to nought; and ye shall be plucked from off the land wither thou goest to possess it. “And the Lord shall scatter thee among all the people, from one end of the earth even unto the other; and there thou shalt serve other gods, which neither thou nor thy fathers have known, even wood and stones. Israel must study his present situation. If Jesus, the Anointed is the Prophet of whom Moses spoke then his message should be accepted and he himself should be accepted also as the prophet from God. There is but one way in which the Jews may more fully be led to accept Jesus and to give, in faith, their hearts to God, and that is, to read the accounts of the words, the work and the testimony of Jesus as found in the Gospels of Matthew, Mark, Luke and John, and then to compare what they have read in the New Testament with the message of Moses and the Prophets as found in the Old Testament. Of the Old Testament writings Jesus said and his words are a challenge to every Jew who is searching after God: “Search the scriptures; for in them ye think ye have eternal life: and they are they which testify of me. “Do not think that I will accuse you to the Father: there is one that accuseth you, even Moses, in whom ye trust. “For had ye believed Moses, ye would have believed me: for he wrote of me. “But if ye believe not his writings, how shall ye believe my Words””John 5:39, 45- 47. Strange as it may seem to the uninitiated Jew, Jesus acknowledge but one God for he taught: “Hear, O Israel: The LORD our God is one LORD.” How dear to the heart of every Jew is the statement of the oneness of God. Jesus proclaimed himself as the Son of God and he announced the privilege of sonship to every Jew who would come to God through him. Even David spoke of Jesus as God”s Son when he stated in Psalm 2:12 “Kiss the Son, lest he be angry, and ye perish from the way, when his wrath is kindled but a little. Can you join in with David and claim the blessings which he promised to those who would acknowledge the Prophet of God whom he here designates as the Son of God” The writings of David are complete with prophesies which definitely point to Jesus as the hoped- for son of David, the King of the Jews, for David said: “The Lord (Jehovah) said unto my Lord, (Jesus the Anointed). Sit thou at my right hand, until I make thine enemies thy footstool.” Psalms 110:1 Through Moses and the Prophets the coming of the Messiah was definitely foretold. Yet when he first came, they were not able to receive him. Why” Because the glorious reign of Jesus as David”s son will appear in glory at the second coming of Jesus. When he first came, he came as the fulfillment of the Passover Lamb to take away the sin of the world. Little did the Jews realize that the first work of the Messiah would be that of the atonement. For hundreds of years God, through the sacrifices of animals, had sought to prepare Israel for the Lamb of God which really could take away sin. If they had read Daniel they would have learned “Messiah shall be cut off, but not for Himself.”Daniel 9:26. Because Israel has neglected to hear the message of God”s Prophet, the message of salvation has gone to the Gentiles just as the Jewish prophet Hosea had foretold: “And it shall come to pass, that in the place where it was said unto them, Ye are not my people, there it shall be said unto them, Ye are the sons of the living God.”Hosea 1:10 The privilege of the Kingdom is the birthright of the children of Israel. They were the Holy Nation. Why should all the blessings of God go to the strange people because God”s chosen people are blinded to their own hopes as foretold by Moses and the prophets” Israel should lift up his eyes and behold the mercies of God. There is a reason for the sad plight of Israel. The reason can not be found in human social neglect. God has abandoned Israel and Israel is too sorrowful to know the cause thereof. Jesus said that he came to the lost sheep of the house of Israel, but Israel’s house is desolate and the sad part of this crisis is that Israel does not understand the cause of his bereavement. He seeks to better his condition through worldly education and in commerce, not realizing his neglect of God and the prophet who spoke in God’s name. “Jerusalem shall be trodden down of the Gentiles, until the times of the Gentiles be fulfilled.” Luke 21:24 Jesus definitely foretold the desolation of Israel, while Israel still had their glorious Temple. Note also the reason, Jesus assigned for the distress of Israel: “O Jerusalem, Jerusalem, thou that killest the prophets, and stonest them which are sent unto thee, how often would I have gathered thy children together, even as a hen gathereth her chickens under her wings, and ye would not! Behold, YOUR HOUSE IS LEFT UNTO YOU DESOLATE. For I say unto you, Ye shall not see me henceforth, till ye shall say, “Blessed is he that cometh in the name of the Lord.” Matthew 23:37- 39 Can Israel turn from her prejudices and turn to the prophet whom God has raised up” Let Israel remember that no real child of god has ever persecuted Israel. Let Israel realize that these are the times of the Gentiles and that the Gentiles have trodden down Israel, but let not Israel think that these Gentiles are God”s people. Since the coming of the Messiah to become “The Lamb of God That Taketh Away The Sin of the World,” the people of God have been selected from among both the Jews and Gentiles to become part of the Kingdom which will be set up when the Messiah come in glory. Jesus said: “Many shall come from the east and west, and shall sit down with Abraham, and Isaac, and Jacob, in the Kingdom of heaven, but the children of the kingdom shall be cast out into outer darkness.” Matthew 8:11- 12 Darkness will still control most of Israel, but this pamphlet goes out with the hope and the prayer that some of God’s chosen people may still see the light of the glory of god as it was proclaimed in the words of that Prophet, of whom Moses spake, a prophet who was raised up from the Jews, and who was sent to proclaim the message of God. Since his time it should be interesting to note that God has not sent Israel another prophet nor has Israel received another message from God. Can Israel be constrained to say “Blessed is he that cometh in the name of the Lord” As each Israelite accepts Jesus as the prophet from god, the Lamb of God that taketh away the sin of the world, he is thus enable to see Jesus. The blessed relationship of divine approval is his lot. Today the glory of Israel is gone! Today the house of Israel is desolate! The hope of Israel still remaineth in the Prophet raised up from among the Jews. Near Jerusalem, for nearly 4,000 years, deep in ancient tombs lie Abraham, Sarah, Isaac, Rebecca. For nearly 4000 years, revered alike by Jews and Muslims and Christians. Their bones rest on in the hope of a resurrection. Jerusalem—Jerusalem the golden; Jerusalem the invaded—by Assyrians, by Babylonians, by Medo-Persians, by Seleucids, by Romans, by Mamelukes, by Crusaders, by Ottoman Turks, and by assorted Arab hordes. Jerusalem—laid to rest in countless tombs carpeting the western slopes of Olivet. 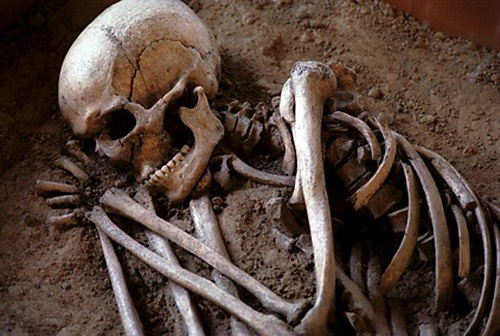 Jerusalem—its bones dried and scattered, bones dead for nearly 2000 years, bones resting on in the hope of a resurrection. Many years ago in the city of ancient Babylon the Jewish prophet Ezekiel was asked this very question in a vision. “The hand of the Lord was upon me, and carried me out in the spirit of the Lord, and set me down in the midst of the valley which was full of bones. And caused me to pass by them round about: and, behold, there were very many bones in the open valley; and lo, they were very dry. And he said unto me “Son of man, can these bones live? “And I answered, O Lord God, thou knowest. “Again he said unto me “Prophesy upon these bones, and say unto them, O ye dry bones, hear the word of the Lord. Then he said unto me, “Prophesy unto the wind, prophesy, son of man, and say to the wind, Thus saith the Lord God, Come from the four winds, O breath, and breathe upon these slain, that they may live. A dramatic story! Dramatically told! But what does it all mean? “Son of man, these bones are the whole house of Israel: behold, they say, Our bones are dried, and our hope is lost: we are completely cut off. Therefore prophesy and say unto them, Thus saith the Lord God: Behold, O my people, I will open your graves, and cause you to come up out of your graves, and bring you into the land of Israel. And ye shall know that I am the Lord, when I have opened your graves, O my people, and brought you up out of your graves. Since the twin destructions of Jerusalem under the mighty armies of the Roman generals Titus and Hadrian, the Jewish people entered a long period of dispersion, Diaspora, and their national hopes, like the bones in their ancient graves deep in the valley of the Kidron have been dead. It’s a question worth asking! Nor has Tyre; nor has Elam; or Philistia. Not after being totally forbidden to inhabit their ancient homeland! Not after being denied access to their religious shrines! Not after being dispersed so widely throughout the world! Military strategists answer, “Never will these bones live! Not after their military might was so completely broken! Not after being denied responsibile positions in the countries of their dispersion! Not after being so reviled in the few countries that gave them refuge! In a twentieth-century miracle, the nation of Israel has been reborn—reborn in its ancient homeland; reborn against tremendous odds; reborn amidst a vastly outnumbered opposition. For over a century the history of the Middle East has been moving in steady steps toward the fulfillment of this prophecy of Ezekiel. In 1878, after a ban of Seventeen Hundred Forty-three years, Israelis were given permission to own property in the ancient land of their forefathers. In 1878 , they immediately established their first settlement, Petach Tikvah. Their return had begun. In 1897, Theodor Herzl issued a worldwide call to organize the Zionist movement. In 1917, Her Majesty’s government of Great Britain endorsed a Jewish state in the famous Balfour Declaration. From 1936 to 1945 over six million Jews were killed in the Nazi Holocaust. In 1948, as a result of a United Nations partition, Israel became a sovereign nation. Then, immediately challenged by an overpowering Arab force, an Israeli victory legitimized their declaration of statehood. In 1956, an invasion led by General Nasser of Egypt was soundly repelled. In 1967, the six-day war of Israel against another Arab coalition enlarged the borders of the new state and Jerusalem was united once again under Jewish control. In 1973, on the eve of the Jewish high holy day of Yom Kippur, a third Arab attack was again set back. In 1989 the dismantled countries of the Soviet Union permitted the Jewish refuseniks to return to Israel. In 1991 and 1992 repeated Scud attacks by Saddam Hassein of Iraq failed to dislodge the Israelis. Dry bones returning to life. Scattered bones have become regathered bones. Bare bones have assumed sinew and flesh. Covered bones have been topped with skin. But Can These Bones Live? First: a thundrous noise and shaking brought the bones together. Second: the regathered bones took on sinew and flesh. Fourth: after a lapse of time, breath came into the bones and they lived. Let’s look at these steps, one by one, and see how they have been fulfilled. * From the United States. * From China and Japan. * From all over the world. Israel – the people of history—now, the people of a miracle! Dry bones, shaking off the dust of twenty centuries. Regathering from every corner of the earth to Israel. Returning by boat, by plane and even by foot. Returning to their ancient homeland In an ever-growing stream, like the salmon to its spawning ground. Attracted like metal filings to a magnet, the people of Israel return to their native land! In one immigration after another. * Lured by the promises of Zionism. * Attracted by the financial investments of the Hirsches and the Rothschilds. * Driven by the pogroms of unfriendly nations. * Hunted by the persecutions of Nazism and the Holocaust. * There was no place like home. “Next year in Jerusalem” became THIS YEAR IN JERUSALEM! However, though you may gather bones from the whole world all you really have is a pile of dead bones! But this was only the first step in the fulfillment of Ezekiel’s prophecy. Sinew, flesh, skin and life were yet to follow. And so it was, even in those days when nationhood was but a vague hope, an infrastructure began to develop. Under the encouragement of Chaim Weissman, the Hebrew University was formed. The Haganah, Mossad and Irgun formed the military muscle. Hadassah reached forth to provide medical services. Ben Yehuda resurrected the dead Hebrew language. A shadow government with such strong ambassadorial figures as David Ben Gurion, Chaim Weissman, Levi Eshkol and Golda Meir began to function in exile. Bones And Sinews Were Appearing. But still they were just that; a government in exile. Skin had not yet appeared to give them the semblance of a nation. And The Skin Covered Them From Above. As the close of World War II exposed the atrocities of the Holocaust to the public eye, the climate was set for the United Nations motion to partition Palestine and pave the way for a Jewish state. On May 14, 1948, the ears of the Jewish people were pinned to their radios as the vote in the U.N. was tallied. In Jerusalem David Ben Gurion capped the results by announcing a new state . . . the state of Israel, reborn from the dust bins of history. Immediate recognition by world powers, beginning with President Harry Truman of the United States gave legitimacy to their claim. Like any new birth, there were the pains of travail. Within hours an Arab coalition attacked to drive the new state into the sea. Jordan, Iraq and Saudi Arabia from the East; Lebanon and Syria from the North; Egypt from the South. Blocked on the West by the Mediterranean Naval armadas on the Western Sea. Outnumbered, surrounded, outgunned, Israel fought back desperately. They fought back and, despite all odds, they won! The Bones had skin! To be alive in the sight of the nations around them was one thing, to be alive in the sight of God was another! In Ezekiel’s prophecy there was a time lapse between the bones assembling, growing sinews and flesh, being covered with skin, and then receiving the breath of life. In this prophecy, the breath, or life, was to come from the wind. Wind, throughout the Bible, even as in common usage, signifies trouble. “Winds of war;” “winds of turmoil;” “winds of strife;” causing men to be as turbulent as the wind-driven waves of the sea. Nor was it from wind alone, but specifically from “the four winds” that this breath was to come. These “four winds of earth,” a virtual whirlwind of anarchy, depict a period of trouble which particularly involves the newborn nation of Israel. This battle is described in great prophetic detail in the 38th and 39th chapters of Ezekiel. After trying heroically to save themselves by their own military might, Israel will learn their final lesson. It is their God alone who can ultimately bring deliverance and salvation. It is then: knowing the weakness of their own might, knowing the strength of their God, seeking and finding their Messiah, renewed in their faith in the Word of God, that breath will come upon them. “And it shall come to pass in the last days, that the mountain of the Lord’s house shall be established in the top of the mountains, and shall be exalted above the hills: and all nations shall flow into it. Thus we have God’s promise that these bones shall live again.! But This Will Be Only The Beginning! For we realize that these “bones that live” are an illustration of the resurrection of the dead. For when these dry bones of Israel have breath and live, then the bones of Abraham and Sarah and Isaac and Rebecca shall also live. * Then the bones of ancient Jewry shall also live. * Then the bones of Muslims buried near the golden gate shall also live. * Then the bones of Christians buried deep in the Kidron valley shall also live. * Then the bones buried in neat rows in Flanders. poppy fields shall also live. * Then the bones of all who have ever died shall come to life. The bones of Israel have been regathered! They already have sinew and flesh! The bones already have skin! Thus we are on the very brink of the fourth step coming to pass: Israel receiving the breath of life. However, not only Israel but all people will receive life. For this will introduce the greatest event in all human history—the Kingdom of God! The bones of Israel and all who have ever lived will become living bones, with flesh and blood—breathing bones, with life anew! * All men will all come forth from the tomb. Unbelievable? Too good to be true? No! Our faith is greatly strengthened when we realize Israel’s dispersion among the nations, and their gradual return of favor, is a direct fulfillment of prophecy given thousands of years ago. And so we CAN be assured that God’s promise of life to all who have ever lived, will also be fulfilled. Rejoice in life coming to Israel’s “dry bones!” Because it means that soon life will come to all the dead—regardless of their color, regardless of their creed, regardless of their nationality. The return of Israel is the harbinger of the kingdom of God as surely as the robin is the harbinger of spring. We accept the Bible [Old and New Testament] as our guide and believe it to be the inspired word of God. Redemption through the precious blood of “the man Christ Jesus who gave himself a ransom [a corresponding price, a substitute] for all.” 1 Peter 1:19; 1 Timothy 2:6. Its further mission is to – “Make all see what is the fellowship of the mystery which …has been hid in God,…to the intent that now might be made known by the Church the manifold wisdom of God.” – “which in other ages was not made known unto the sons of men, as it is now revealed.” Ephesians 3:5-10. To witness the love and plan of God to all who have a hearing ear. Isa. 61:1-3. Free from all parties, sects and creeds of men, while it seeks more and more to bring its every utterance into the fullest subjection to the will of God in Christ, as expressed in the Holy Scriptures. It is thus free to declare boldly whatsoever the Lord hath spoken – according to the Divine wisdom granted unto us to understand. Its attitude is not dogmatical, but confident; for we know whereof we affirm, treading with implicit faith upon the sure promises of God. The Bible Students had their humble beginning in the late 1860s. In 1868, a young businessman named Charles Taze Russell, who feared the Lord, began studying with a small band of Christians independent of the creeds of the Churches, they soon discovered that many of the doctrines that were popularly taught and believed were inconsistent with the Bible. Dissatisfied, Mr. Russell devoted himself to a careful independent study of the Scriptures. He made no claim to any vision or personal revelation. We reject the doctrine of a ‘Trinity’. This doctrine developed 300 years after Jesus and His Apostles died as a result of disputes within the orthodox church. The Bible teaches that Jesus was the Son of God, nowhere does it speak of him being ‘God the Son’. We also reject the idea of an “immortal soul” that goes to heaven at death. The Bible teaches that the only hope for eternal life is through a resurrection when Jesus returns. We believe that baptism is an outward manifestation of ones consecration to the Lord, after they have been enlightened by His Holy Spirit. We believe that sprinkling of babies is not baptism. We believe that the Lord’s promised return is not physical to the eye, but spiritual, an invisible presence. The Bible gives effective direction to our lives. We try to rely fully upon God and develop a faith which is active in prayer and good works. At the same time, however, we recognize that salvation is by grace. With God’s help, we seek to please and obey him every day, striving to imitate Christ who faithfully obeyed his Father. We therefore endeavor to be enthusiastic in work, loyal in marriage, generous in giving, dedicated in preaching and happy in our God. A widespread custom amongst Bible Students is to read the Bible every day using a reading plan which enables us to systematically read the Old and the New Testaments once, each year. Of course, many read much more widely than this. We may also attend one or more evening Bible Study classes each weekday. Each Sunday, we attend two meetings. These meetings vary between ecclesias. There are “Bible Studies”, “Topical Studies”, “Testimony Meetings” and “Discourses.” Attendance at these meetings is the focus of our religious life. There are also monthly conventions sponsored by various ecclesias and associations and an International Conventions held outside of the United States. We also have Sunday Schools for young ones of various ages; During the summer, Bible Students sponsor Youth Camps for Bible Study and fellowship. Some members travel overseas on mission work; others care for the elderly in our retirement centers. There are several monthly magazines to read. The Bible Students are a close-knit community working in God’s service in whatever ways we can.